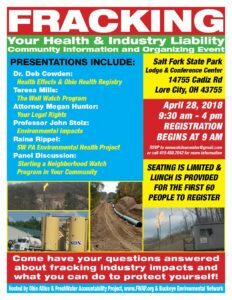 Inviting all those who are impacted by the fracking industry and its infrastructure and toxic, radioactive waste processing and disposal facilities to join us at Salt Fork Lodge and Conference Center near Cambridge on 4/28. 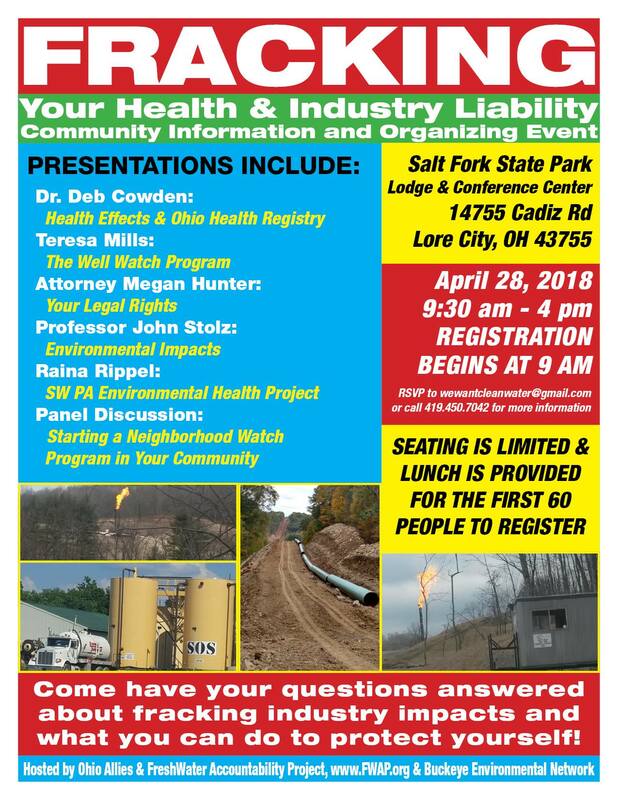 For questions about the conference, please message us or call 740-233-1934. You can view the Facebook Event here.